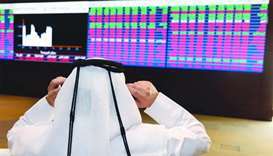 The Qatar Stock Exchange remained under the bearish spell for the third consecutive day on Thursday and lost 75 points to settle below 8,800 levels. 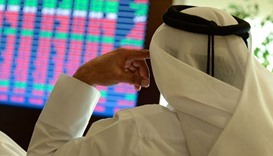 Domestic and foreign funds’ sustained profit booking on Wednesday drove Qatar Stock Exchange down below 9,000 levels. 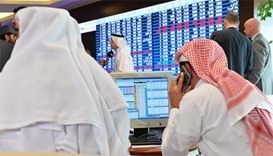 The Qatar Stock Exchange (QSE) on Tuesday gained for the second consecutive day to inch near 9,000 levels, mainly on the back of strong buying interests of domestic institutions. 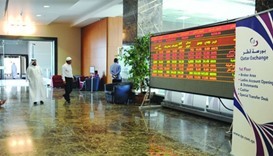 The Qatar Stock Exchange on Sunday opened the week weak, mainly on selling pressure in the banking and realty counters. Local retail investors yesterday turned bullish and domestic institutions strengthened their net buying amidst weakening of the Qatar Stock Exchange. 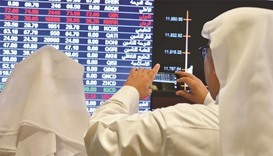 Domestic institutions on Tuesday turned net buyers in the Qatar Stock Exchange which settled near 9,400 levels. Domestic institutions’ bearish outlook and weakened buying support from their Gulf counterparts led the Qatar Stock Exchange traverse the negative trajectory for the third consecutive session yesterday.